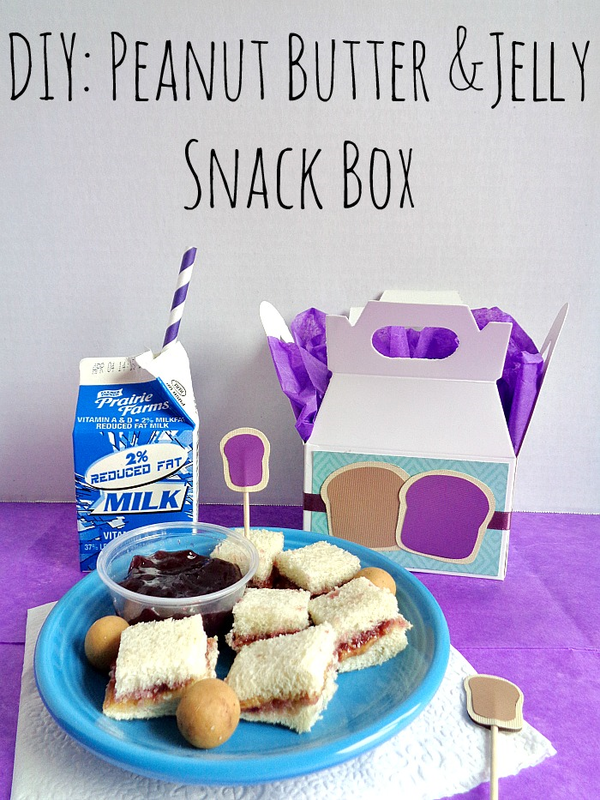 DIY: Peanut Butter and Jelly Snack Box for National Peanut Butter and Jelly Day! Do you know what today is? 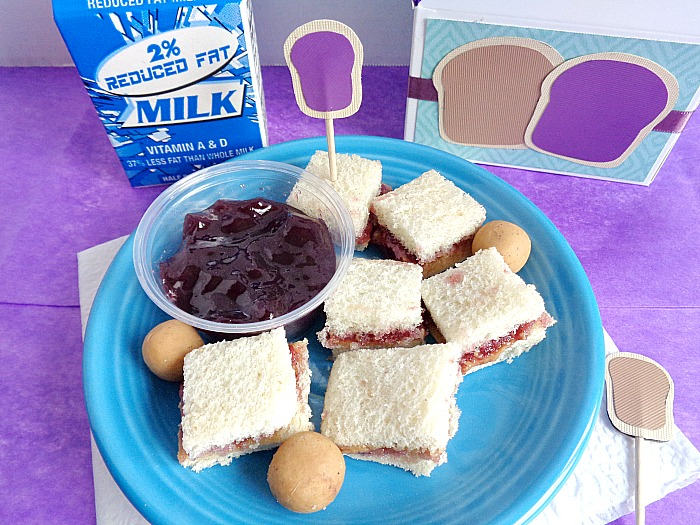 It's National Peanut Butter and Jelly Day! I mean, who knew that the classic PB&J had its own day. I sure didn't! 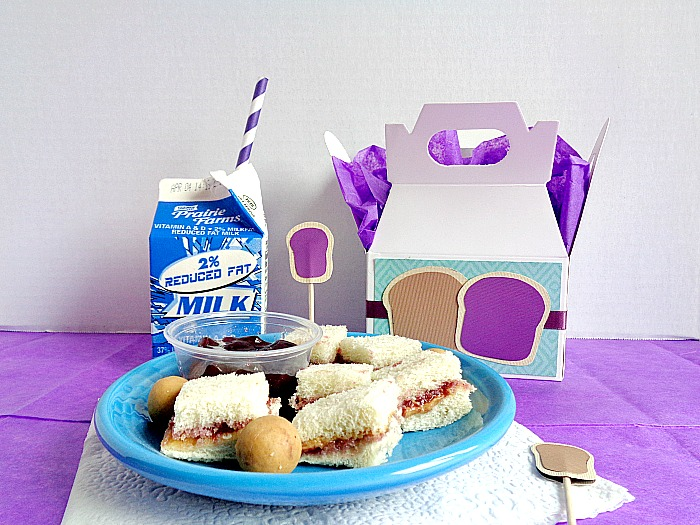 Now you may be wondering why we are celebrating National Peanut Butter and Jelly Day, well the truth is today's post is part of my collaboration with Xyron (since I'm a member of their design team)! For this month's project, each member had to pick a ''holiday'' and create a project for that specific holiday. In this case, I chose National Peanut Butter and Jelly Day! For my project, I decided to decorate a snack box with a PB&J theme! 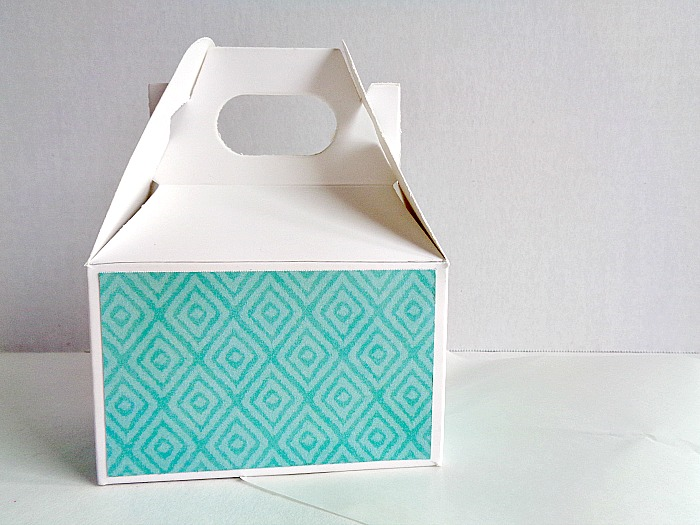 I thought this would be a cute idea to do because snack boxes (in general) have become really popular and decorating them seems to be a current trend. 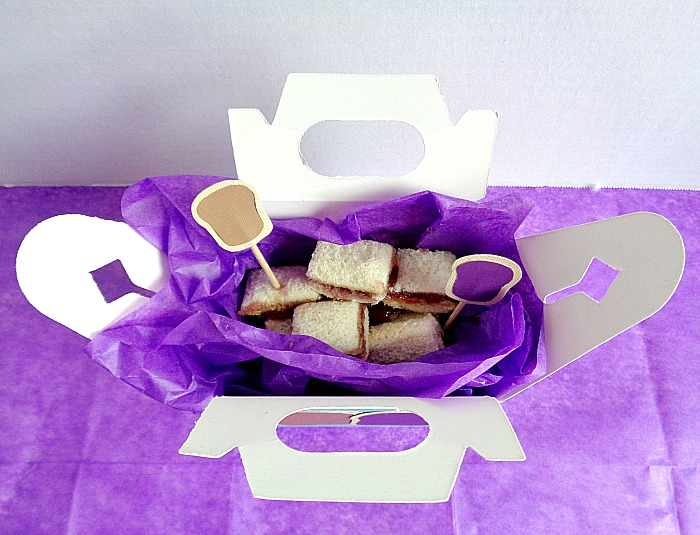 To make these snack boxes more PB&J friendly, I decided to create PB&J bites! The bites themselves are less mess than your traditional sandwich and just make for a cuter presentation when you add the toothpicks! Also, since this is a Xyron collaboration, you will be seeing a Xyron machine in action! 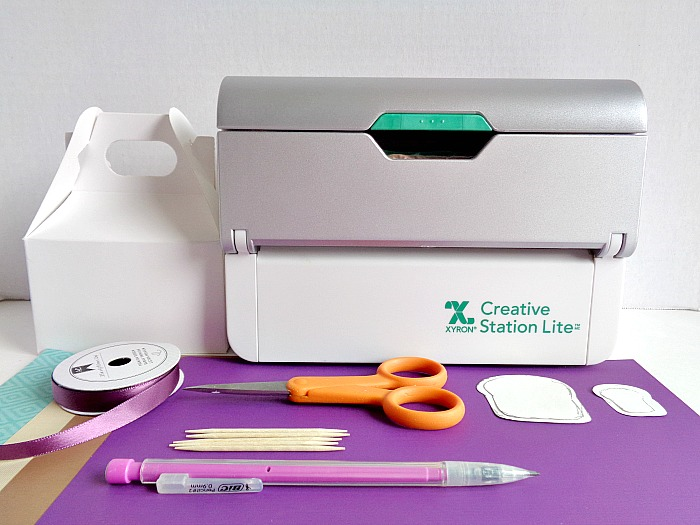 For this particular project, I will be showcasing the new Xyron Creative Station Lite machine. I've already talked about this machine and all the awesome stuff it can do, in a previously post. 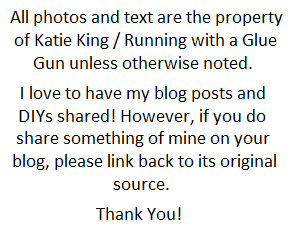 So you if want to learn more about the machine, check out this post here! Ok, let's make some PB&J snack boxes! 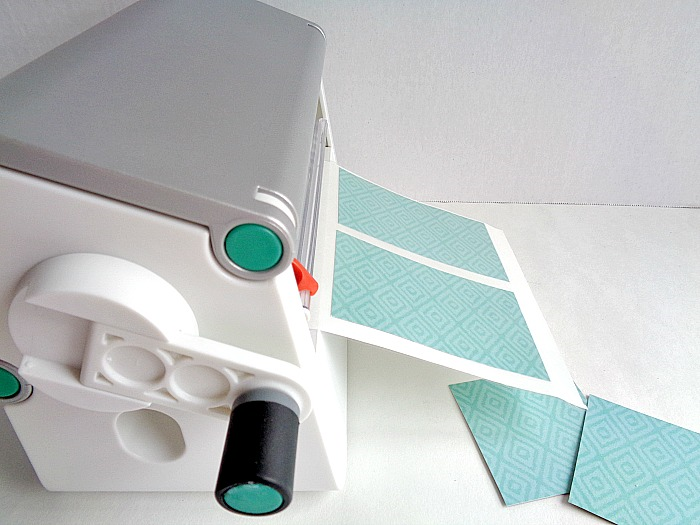 Step 1: Trace around each side of your snack box onto a piece of scrapbooking paper. Then cut out each piece of paper and set them to the side. 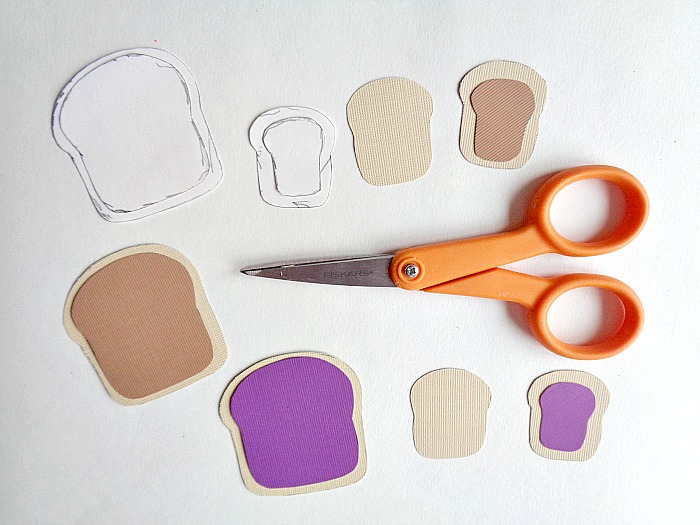 Step 2: Grab your three pieces of solid colored scrapbooking paper and your bread templates. Trace around each template onto the pieces of scrapbooking paper. You will want to trace template A on the off white paper and template B on your light brown and purple paper. These pieces when cut out and put together, will create your main PB&J sandwiches. 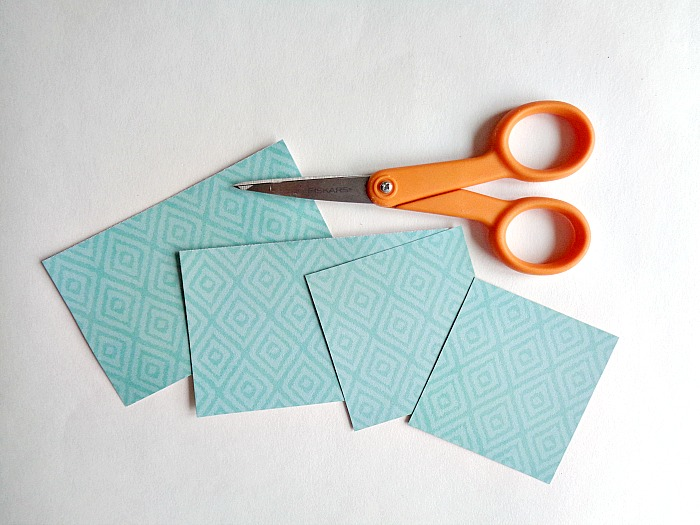 Now take template C and trace that twice onto your off-white paper, then repeat the same process as above for template D. These pieces when cut out and put together, will create your mini sandwiches for your toothpicks. 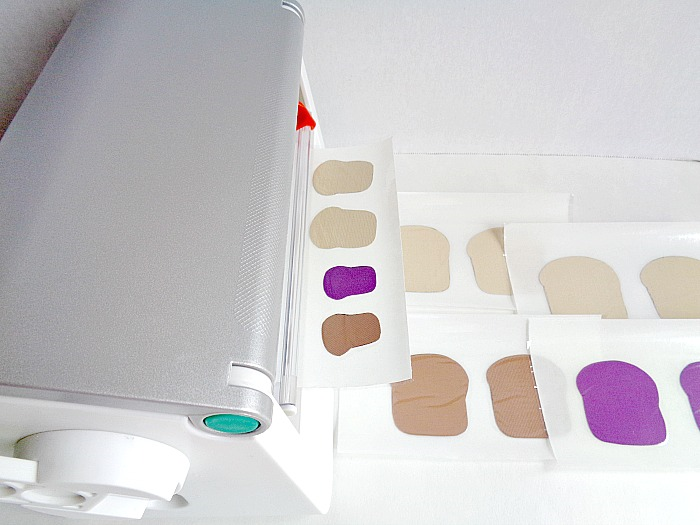 Step 3: Now grab your pieces that you cut out in step 1 and run them through your Xyron Creative Station Lite machine. Step 4: Once all four of your piece has been run through the Xyron Creative Station Lite machine, you're ready to add it to your snack box. Simply rub the top of the sticker paper and peel each piece off of the sticker paper. Then place your pieces on the right areas of your snack box and press them down into place. Step 5: Grab your ribbon and wrap it around your snack box, to get an idea of how much ribbon you will need. Then cut off that amount of ribbon and run it through your Xyron Creative Station Lite machine. Step 6: Grab all your PB&J pieces that you cut out in step 2 and run them through your Xyron Creative Station Lite machine. 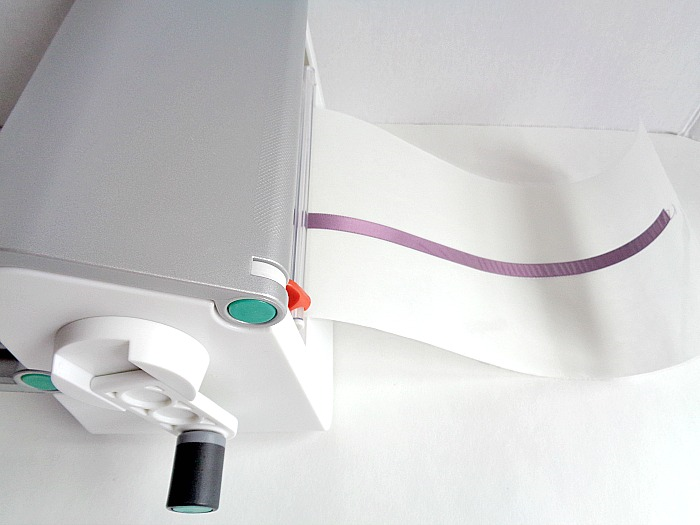 Step 7: Take your ribbon that you ran through your machine and rub the top of the sticker paper. Then peel the ribbon off the sticker paper and wrap it around the middle of your snack box. 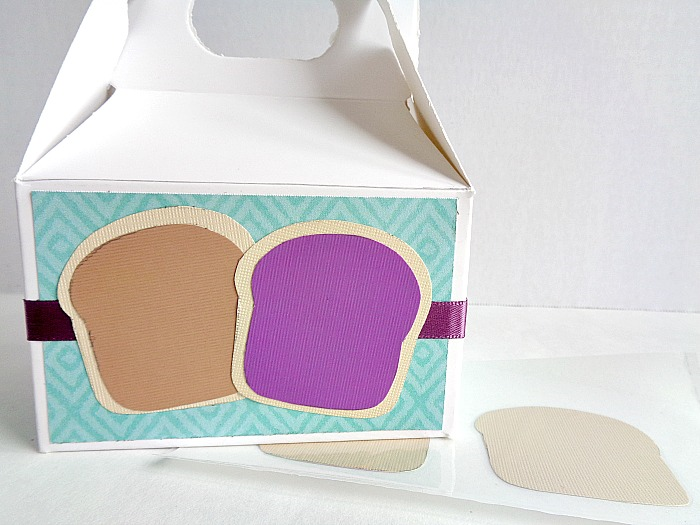 Once your ribbon is in place, grab your main PB&J sandwich pieces and begin rubbing the top of the sticker paper. Then grab one of your bread pieces and add it to your box. Next, grab either your peanut butter or jelly piece and layer it on top of your bread piece. Then repeat this step with your other sandwich piece. When you're done, you should have something like the above photo. Step 8: To make your toothpicks, you are basically going to follow the same procured as in step 7. However, before your start layering your pieces, you will want to grab one of your mini bread pieces that you ran through the machine. Take that piece and peel it off of the sticker paper. Then grab a toothpick and place it (in the middle) on the sticky side of your bread piece. 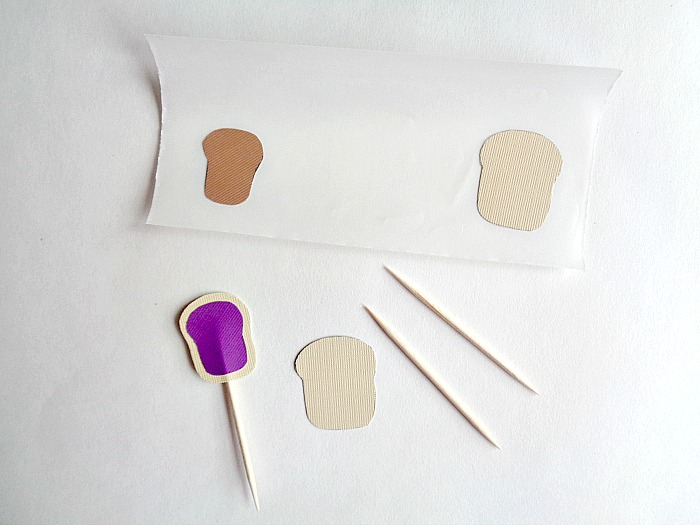 From there, grab your other mini bread piece and place it on top of your toothpick. By doing this, we are ''sandwiching'' our toothpick in-between our paper, giving it a completed look. From here, you can go on layering with your peanut butter or jelly pieces. 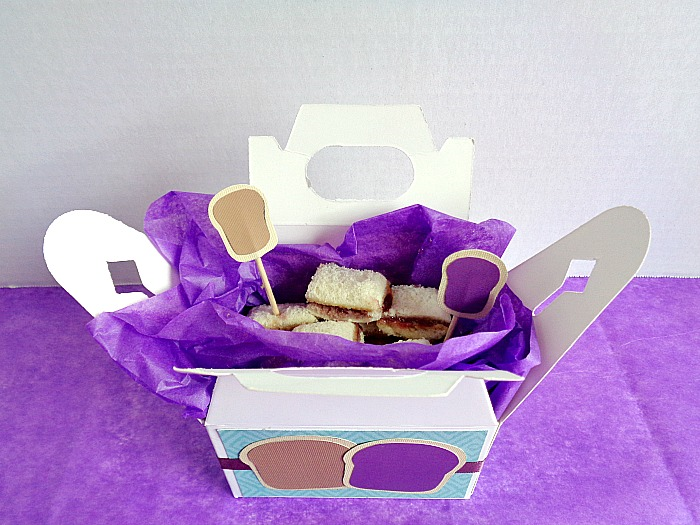 Once your toothpicks have been made, you're ready to fill your snack box up with PB&J bites! I won't lie, it took some strength not to each the PB&J bites while taking pictures (lol)! 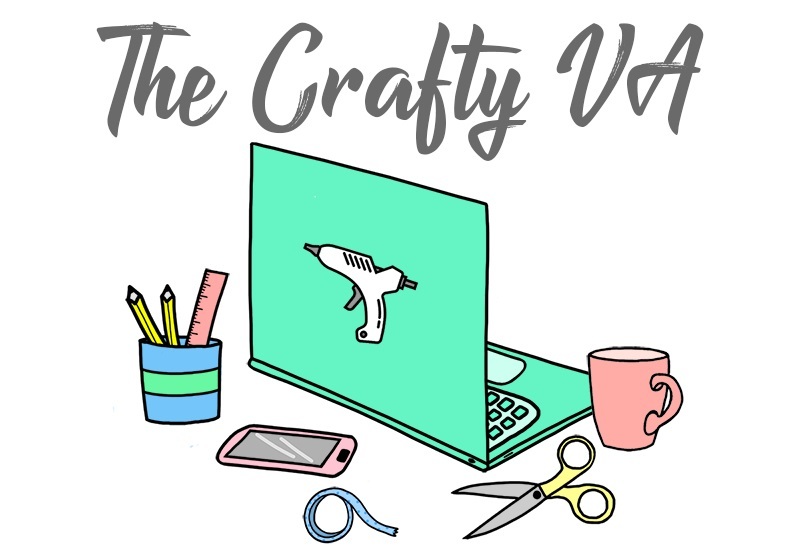 I think this whole DIY would be cute to do, if you wanted to surprise someone with something a little extra special. With that being said, I listed a few tips below if you do decided to make the PB&J bites. 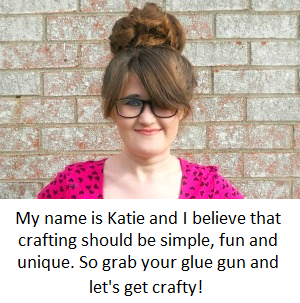 Tip 2: Include a little side of extra jelly, so you can dip your bites into the jelly (using your pretty toothpick of course)! Tip 3: Include peanut butter balls, so you can get that extra peanut butter kick! Bonus Tip: Get a little carton of milk for the cute factor! So what do you think? 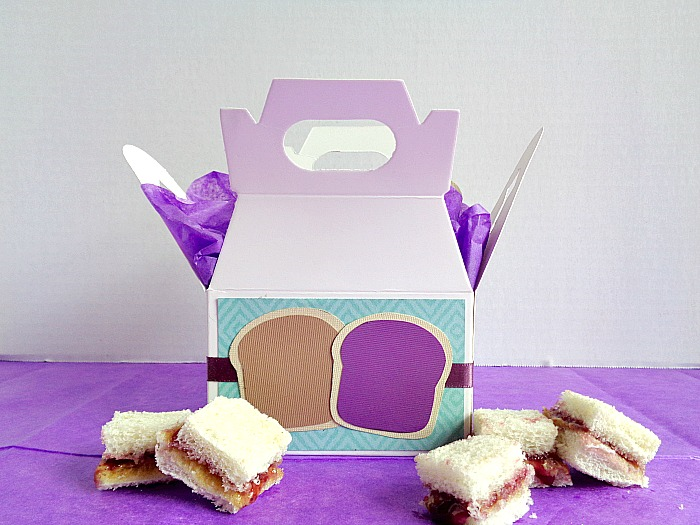 Do you like this PB&J snack box?